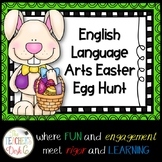 Speech & Language Easter Egg Hunt! 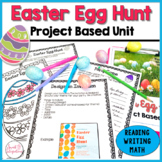 Converting metric and customary measurements is fun with this Easter egg hunt! Perfect for before or after (hello clearance eggs!) the holiday. 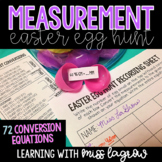 Includes: 72 conversion equations (both metric, customary, and time,) recording sheets, conversion charts, and ideas of how to run your own. 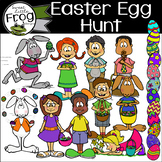 What's more fun than an Easter Egg hunt? 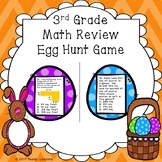 A MATH HUNT!!!! 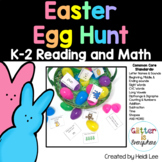 Includes: -27 eggs with common core aligned word problems -Student Answer Sheet -Teacher Answer Key -Teacher Tips and Ideas Great for reviewing for standardized tests and to review material covered throughout the year! 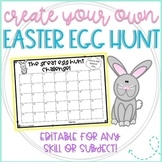 Create Your Own Easter Egg Hunt for Any Skill or Subject- Editable! 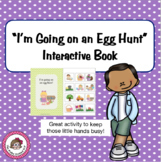 An Easter Interactive book about going on an egg hunt and where the eggs are found. 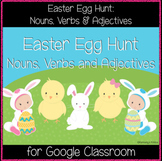 This book is perfect for vocabulary, prepositions, question comprehension and sight words. 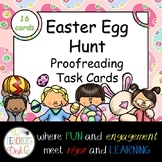 Students read or have read the sentence or sentences on each page and student finds the matching picture for each page.